Love is in the air! (Bet you have that song in your head now!) That’s right my moody friends, Valentines Day is just around the corner and whether you celebrate it or not…I wanna give you a chance to share the love…the love of Chocolate Peanut Butter. The true meaning of perfection to me is 2 things…1) Peanut Butter and 2) Chocolate. There are many a great matches out there…burger & fries, chips & dip, tortilla chips & salsa, Hazelnuts & Chocolate but lets be honest…Peanut Butter and Chocolate is truly the greatest love story of all time. 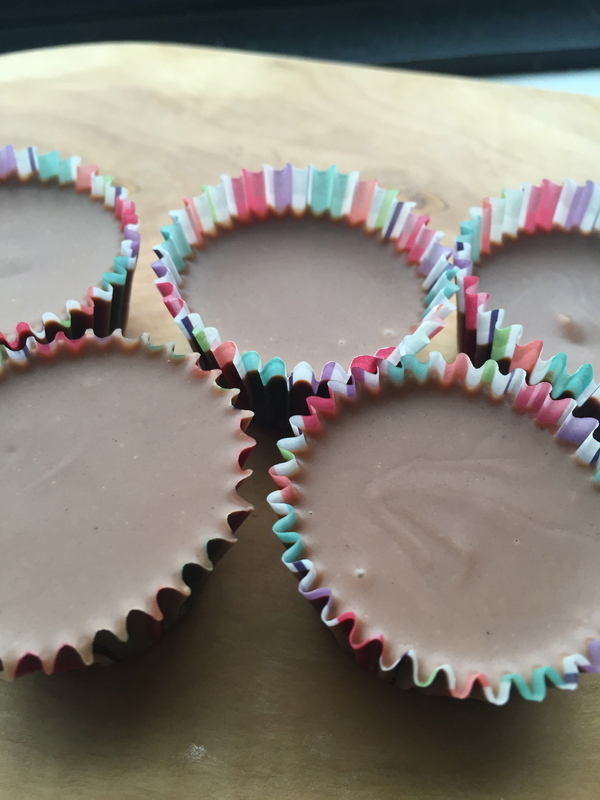 For me…it was love at first bite and it has never ever gone away or wavered over time…the love I felt when I was like 8 years old and discovered the peanut butter cup is still just as strong now, 30 years later. I pretty much want to blast the song ‘endless love’ every time I bite in to anything peanut butter and chocolate!! 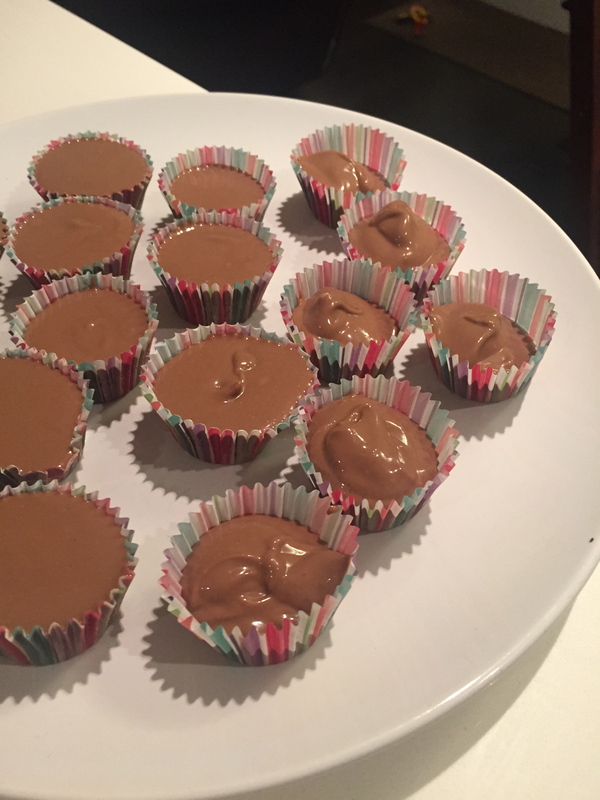 So in honour of feeling all sweet and lovely, I have been trying hard to whip up a super duper easy recipe for peanut butter cups. I wanted them to be light and melt in your mouth delicious. I set out with the lofty goal of making them so simple that you could whip these up in like 3 minutes if you are moving at the pace of a sloth. They will take a little while to set but hey…they require extremely minimal effort. The best thing about these little lovelies is that they can be made with only 4 ingredients…that’s right people, only 4 ingredients. Place in your microwave for 90 seconds. While you are doing that, place about 17-20 mini cup cake liners on a plate. It will really depend on how full you want them to be but have them ready. 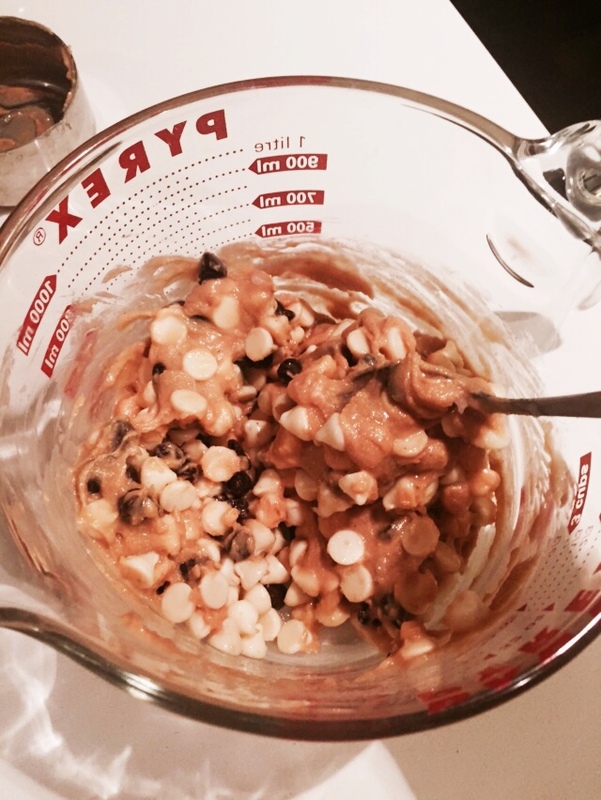 Take the mixture out of the microwave and give it a little stir to combine all of the ingredients. Stick back in the microwave for another 30-40 seconds until the mixture is fully combined and melted. It will be all melted and awesome. I know it will be hard but resist the urge to pour this in to a glass and drink it. I know it will be hard!! 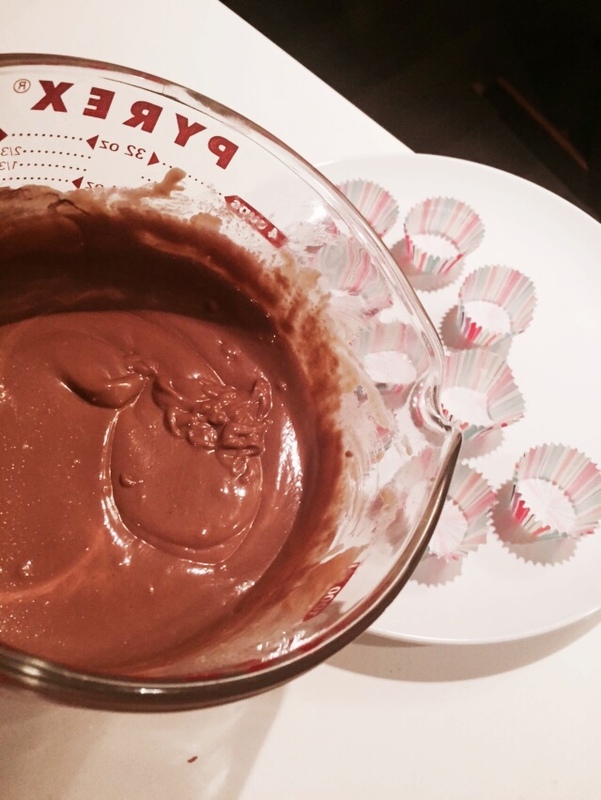 Now pour the mixture in to the cupcake liners. 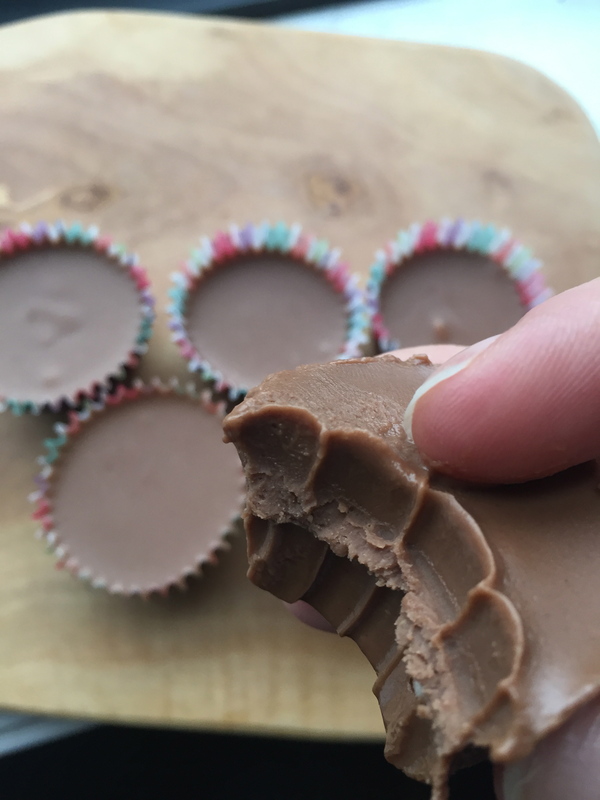 TIP: If you want them to look super duper smooth and all fancy pants perfect…just grab the side of the plate and gently move back and forth and it will shake the mixture slightly in to place and let it even out in the cup. See the difference? Yup!! Now place the plate in your fridge for a few hours to set. If you are an impatient person and are dying to have one sooner rather than later…put em in your freezer. 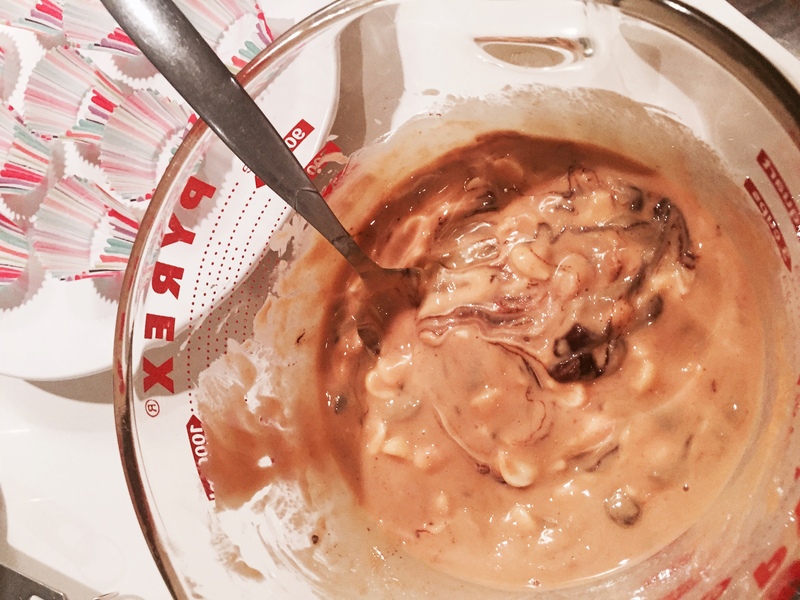 Microwave for another 30-40 seconds and then stir to ensure everything is completely mixed and melted together. Place in fridge or freezer for a few hours to set. Yup…those are my teeth marks!! Okay lovebugs…I hope you love this one. Whether you are loved up, single, celebrating him, her or YOU…this is a winner for many reasons so I hope you enjoy it. I will sing it from the roof top and I don’t care who knows it…I LOVE CHOCOLATE PEANUT BUTTER!!!!!!! Yum! Everyone in this house will love these! Yay!! Who wouldn’t?? Chocolate Peanut Butter is the worlds greatest pairing!! Seems easy enough, even for me! Must attempt this one for sure! 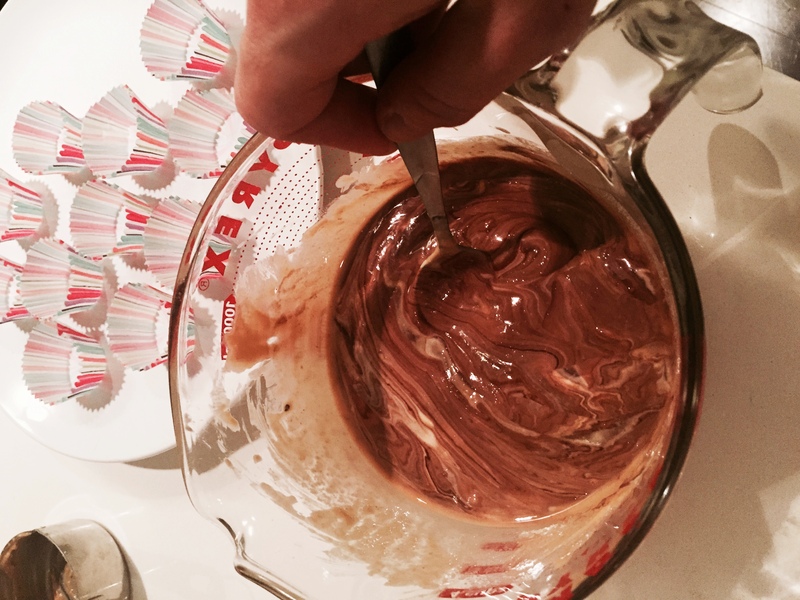 Made them today to test out for Valentine’s Day….amaze balls! 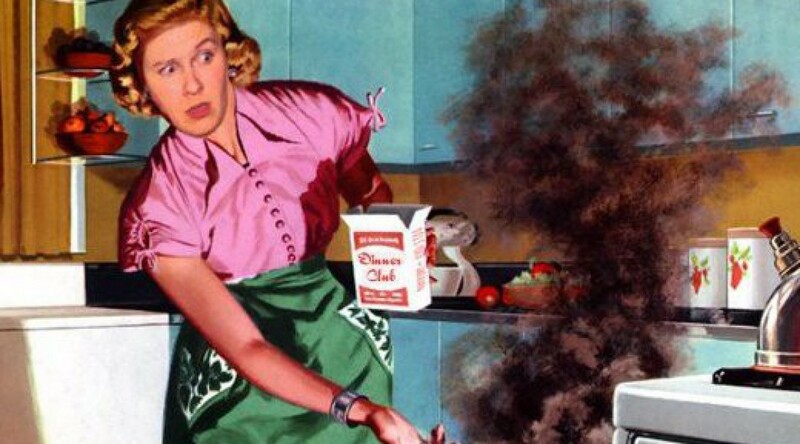 Love your blog lady! Can’t wait to get back home and try these out. 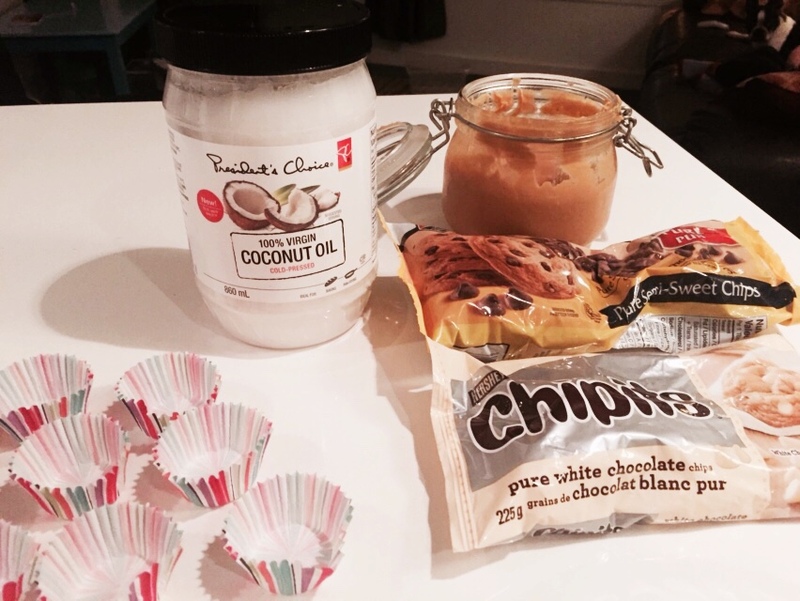 Stephanie….make these for me…that’s an order. For reals they look delicious.